Some wines usually contain insoluble crystals or sediments. Before drinking these sediments are to be filtered otherwise these can alter the taste and flavor of those wines, which can prevent one from enjoying its rich flavor. And in order to do this you have to pour it into decanter which separates out the sediments. Now we come to the use of the decanters. It is used for decanting wines having sediments. Decanters are also used to serve those wines which do not need decanting. It comes in many shapes, designs and sizes. Some things one must consider before buying a decanter are as follows. First of all look for local wine shops. You may search internet for a decanter, however it is better to go to local stores if you are not sure what to buy. And once you are into the store make sure that the merchant is expert enough to meet your demand. You should take care that you buy that decanter which has a shape best suits you and your need. 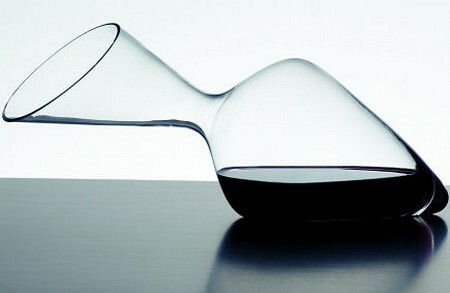 The shape of a decanter determines the ability to let the wine ‘breathe’ or contact with air. Usually you should select a decanter which allows sufficient flow of air to the wine i.e. one with a wider neck. However, if your wine is old, you should buy one with a narrow neck which will expose less wine to the air. Usually decanters come with a lid with a stopper while others are used for decorative purposes. Some also come with a special built-in ‘rod’, which is thereto help in decanting process. Decanters have different shapes, designs and sizes. So you should know the purpose for which you are buying one. Buy a decanter having a spout enough wide to prevent spills while pouring wine into it. Moreover, you should be sure that the decanter you are buying can hold that amount of wine you usually serve. In some decanters there is an ice compartment. This keeps the wine chilled without the ‘interference’ of the ice cubes. So, you no longer need some ‘odd’ ice bucket every time you serve wine. Now, I will finish with the last advice which is the most important one. Buy a carafe if you intend using a decanter for some decoration which is cheap and beautiful way to serve wine. And if you want drinking expensive and old wine then make sure that you buy decanter capable of withstanding heavy use. About the Author: Bruno Silva is an entrepreneur from Portugal with over 15 years of experience in Online Marketing. He is also a blogger and writes on variety of topics from online marketing to designs, cars to loans, etc.